What a Grand dog! Deacon has earned his GRHRCH Title. Whether he is running around the yard with three boys hanging on his back, legs, neck and head or having two judges watching his every move, he is the embodiment of balance. His consistency in the field as well as the home can only be matched by his incredible looks. Deacon is 85lbs of head, shoulders and chest. He is the consummate performer. In our opinion, he is one of the premier chocolate studs available and we consider it an honor having the opportunity to work with and showcase him. Gus is a wonderful addition to the Academy’s selection of well balanced, well bred and extremely handsome sires. 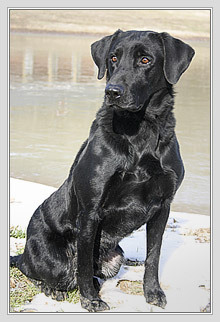 He has advanced titles in both the American Kennel Club and United Kennel Club. 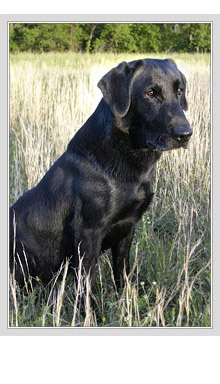 His consistency in everyday training has been exemplified and proven in the flooded timber of Prairie Wings Duck Club and the marsh grasses of Missouri. 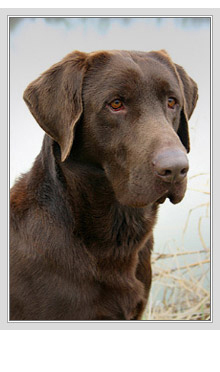 One only needs to look at Gus’ impeccable pedigree to understand his strengths and innate abilities. If you are looking for a candidate who will be there through thick and thin with blue blood lineage and a motor that is dependable …Vote for Gus!